Looking for that perfect used car near Marrero? 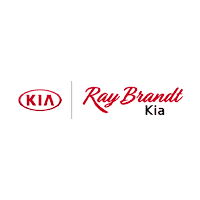 Choosing a used vehicle from Ray Brandt Kia means you can trust that every car on our lot has been thoroughly inspected for quality. Better yet, we have a variety of used car specials, so you’re sure to find the right car for the right price here at Ray Brandt Kia. All pricing and details are believed to be accurate, but we do not warrant or guarantee such accuracy. The prices shown above, may vary from region to region, as will incentives, and are subject to change. Doc Fee $200 after plus TTL. Vehicle information is based off standard equipment and may vary from vehicle to vehicle. Call or email for complete vehicle specific information. After you’ve taken a look at our pre-owned vehicle specials, get in touch with our friendly, knowledgeable to make an appointment! We look forward to getting you behind the wheel of a pre-owned car you’re excited about for a price you’ll love. Don’t know what to do with your old car? Consider trading in your vehicle.